With linear spaced objects in the ceiling, the Sedes™ Baffles Series offers a lightweight aluminium baffle solution for interior commercial spaces. Baffles ceilings are contemporary, flexible and easy to install. Extruded aluminium baffles can be optimised in dimension and shape to suit specific project requirements. From a design point, Baffle Ceilings offer a spatial linear open ceiling. From a practical point of view, it is easy to install and access the ceiling and additional fixtures such as light, speakers, sprinklers etc. The Baffles Sedes™ Straight baffle system enables a whole range of different ceiling designs with variable baffle spacing, widths of 20, 30, 40 and 55 mm, heights of 50 to 300 mm, lengths up to 6000 mm (longer lengths on request) and a big range of different paint colors, powder-coat wood look (interior & exterior) or laminated wood options. This gives the architect a big design freedom for a project. 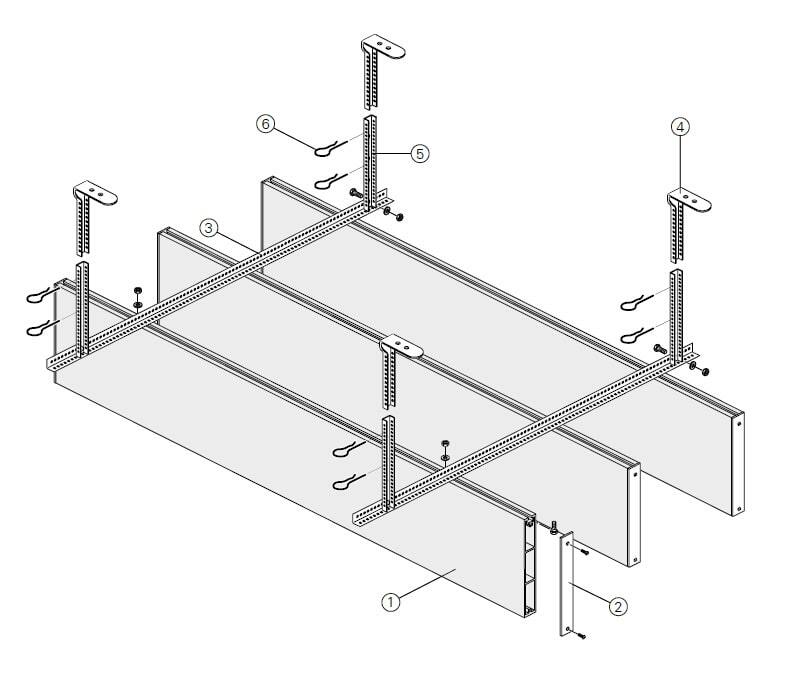 Below a picture of the Baffles Sedes™ Straight ceiling system. Maximum spans primary and secondary grid 1200 mm. Maximum cantilevers 300 mm. The acoustic performance in an office space, school or public building contributes to our well being as poor acoustic comfort can affect health, communication, safety, productivity and learning. Hunter Douglas high performance acoustic ceiling products are the best solution to deliver outstanding acoustic performance, comfort and an aesthetic pleasing solution. best solution to deliver outstanding acoustic performance, comfort and an aesthetic pleasing solution.